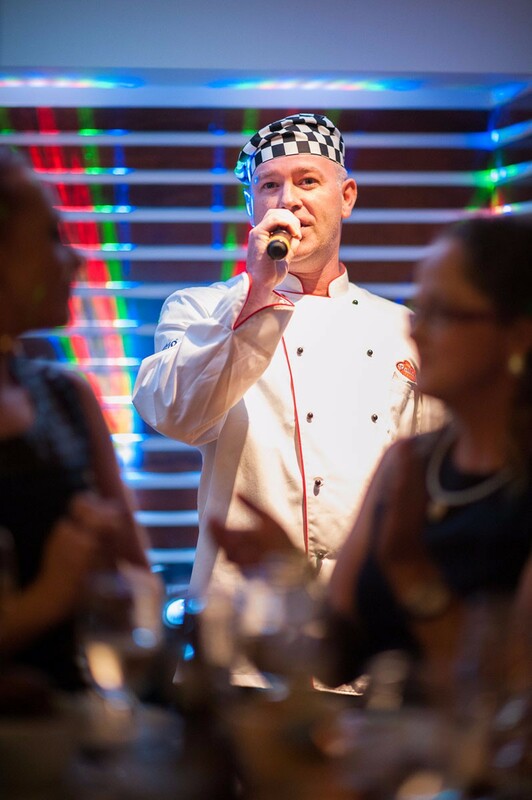 The Singing Chef Cabaret is a wonderful interactive show filled with fun, laughter, audience participation and fabulous entertainment. It reminds everyone that today is a celebration to be enjoyed from start to finish and that the meal can be just as big a part of that celebration as any other time. It involves everybody in the room and by the end of the show you and your guests will not just be entertained but they will feel like they were part of the show and your day. "Here's Johnny" The Singing Chef at The Inn at Dromoland, weddings, corporate, entertainment from John Frawley Entertainment on Vimeo. 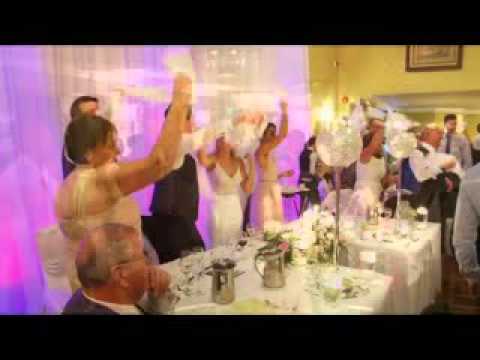 Brown eyed girl at The EI Electronics Award Night, The Inn at Dromoland, Corporate, Weddings, One Man Band from John Frawley Entertainment on Vimeo. 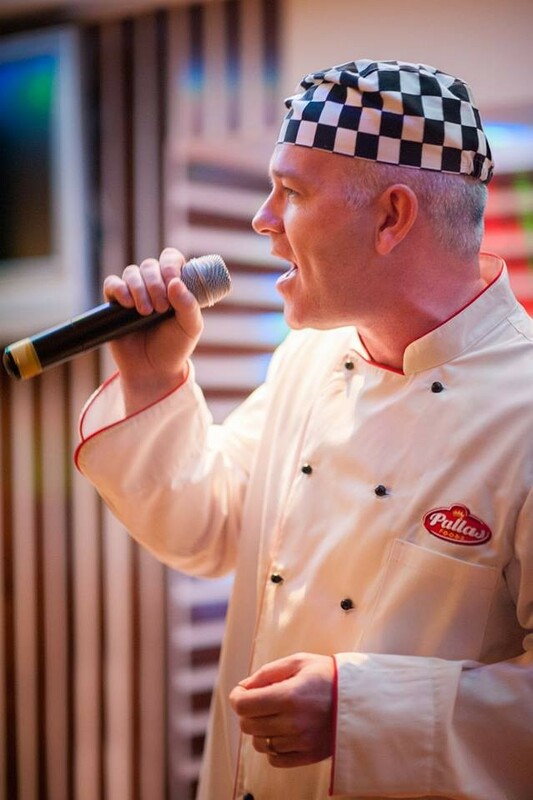 The Singing Chef....It's going to be a great night! from John Frawley Entertainment on Vimeo. 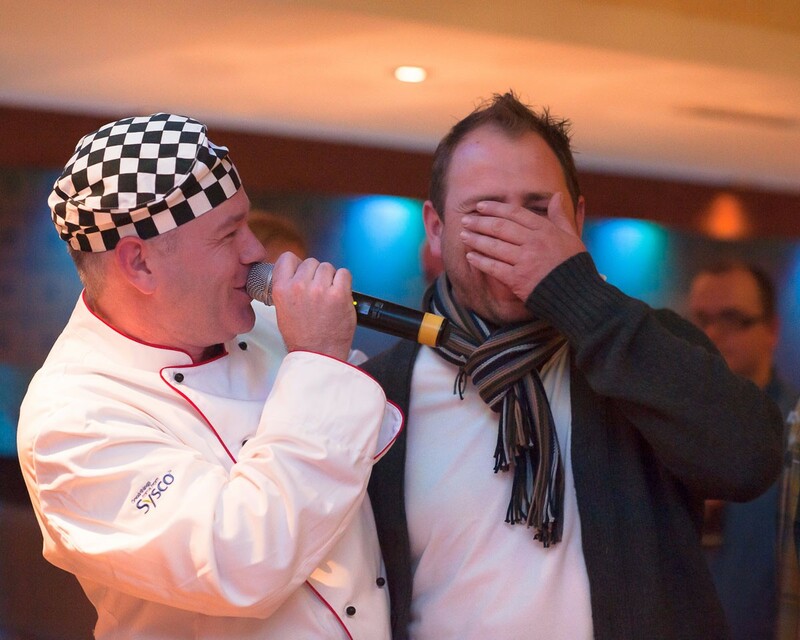 The singing chef is a great show and an excellent way to get your guests involved in a bit of fun . It set the tone for the evening and John had the dance floor full all night when he returned to play later on. He sounds great and was very accommodating when asked for a request. Couldn’t recommend him highly enough. 5 stars all the way ???? 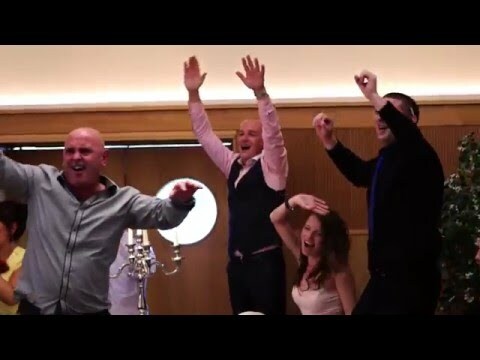 John surprised guests at our wedding and to say he created an electric atmosphere in the room was an understatement. 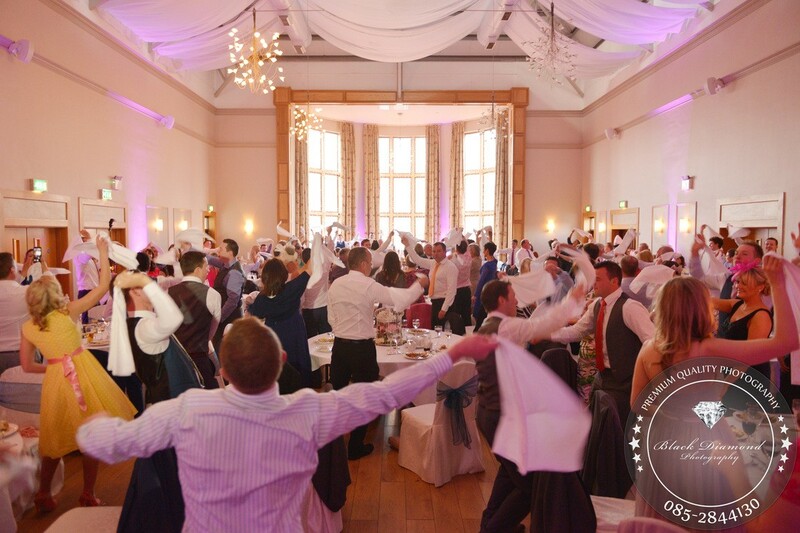 From his awkward entrance to having us dancing on seats and waving napkins in the air, John provided the best form of entertainment from start to finish. Couldn't recommend him enough! John performed at my wedding reception and was just fantastic. From the very first point of contact John was also so friendly and professional. He put me at ease and took care of all the arrangements with the hotel for his performance. John was a surprise for our guests and only myself my Husband and two of the bridal party knew about this. He was brilliant from the moment he started to the moment he finished. He changed the atmosphere in the room and set everyone in good form for the rest of the night. John performed as the soup was being served- which me and my bridal party missed as John had us up dancing with him and having craic. He made sure that all the guests got involved and many of the guests have said they have never had so much fun during a wedding dinner- let alone danced through it. I would 100% recommend him to anyone who is looking for some extra fun on their big day. I still can't believe the amount of people who are still talking about John months after our wedding. He is a true professional, brilliant at what he does and an absolute gent! I had never seen him perform so it was a brilliant surprise for me on the day too as us brides tend to know every little detail. I loved being able to sitting back watching the surprise on everybody's face. I would absolutely recommend the singing chef, thanks a million John!!!! 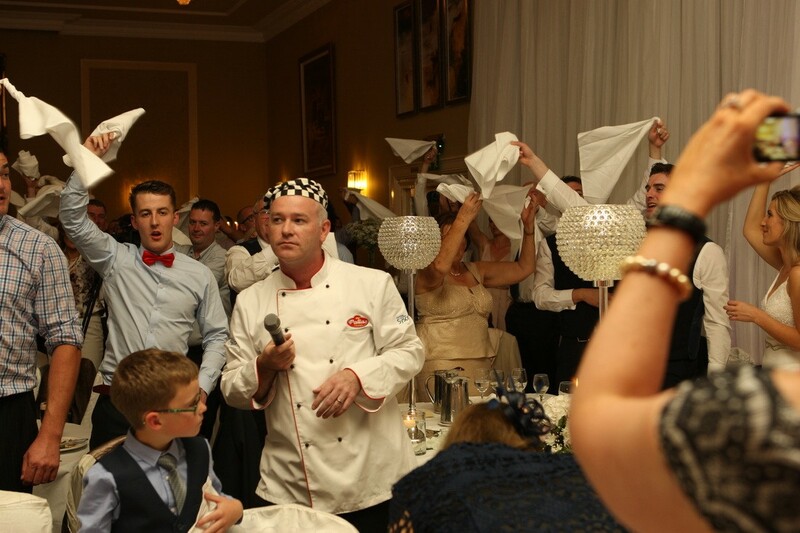 John was the Singing Chef on the night of our Wedding & John certainly knows how to put on an amazing show!! All of our guests enjoyed every single minute of John's performance. I loved the way John came out on to the stage as the Head Chef in full uniform. He was holding a microphone & appeared very nervous while he spoke, which of course was all part of John's act. John then introduced himself as the hotels chef, he welcomed guests, asked them how they enjoyed their meal and then broke into his singing performance. It was absolutely brilliant. I had kept it as a surprise for my new husband and his performance was so believable that my husband actually thought he was the real chef ????. My Brother in law who is a chef was baffled as to how the chef had kept his uniform so clean during meal service, he was very impressed! 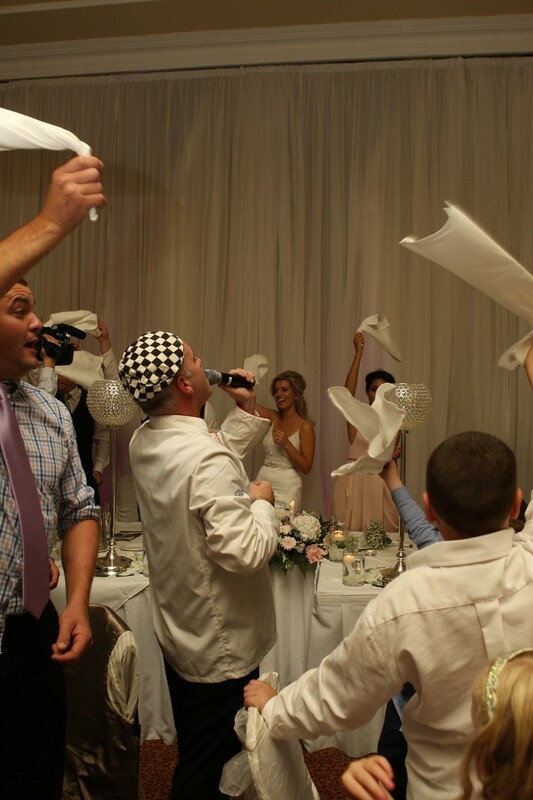 John's performance was absolutely fantastic, everyone at the wedding was singing, clapping and even swaying their napkins in the air to John's singing performance. All of our wedding guests are still talking about the singing chef. He was definitely one of the main highlights of our day. I am so happy that I choose John to be the singing chef at our wedding. 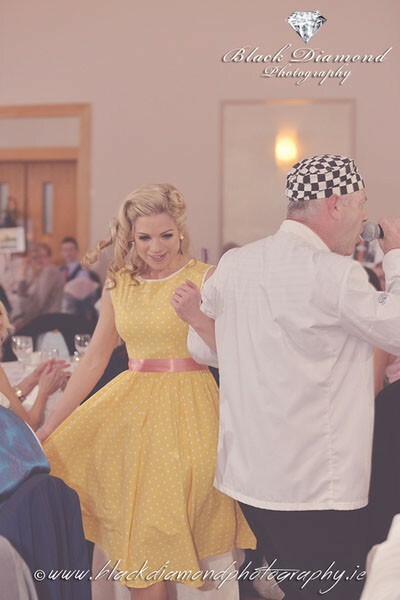 I have and will highly recommend John to Bride/Grooms who are looking for something a little bit different for a wedding as it takes guests by complete surprise & it certainly gets all the guests in the mood for partying. John thank you so much for your professionalism and talent at our wedding . Our guests are still talking about you and how good you were . They actually thought you were the chef when you came out first , I was nearly believing it myself you were so convincing! Thanks so much for singing the songs we requested and getting all involved . It was the highlight of the evening , way beyond our expectations. Best of luck in the future . Wish we could do it all again. 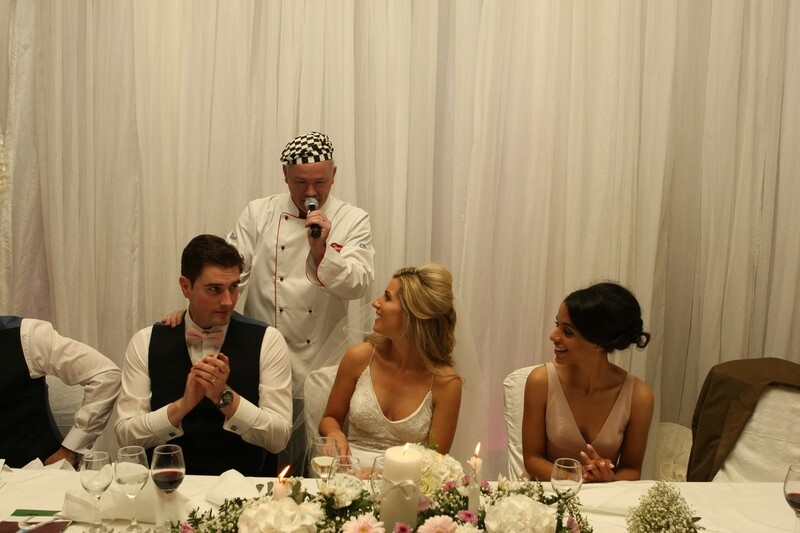 We were so delighted to have the singing chef at our wedding. To see all the guests faces when John walked out was priceless. Then he started singing and really got the crowd going. 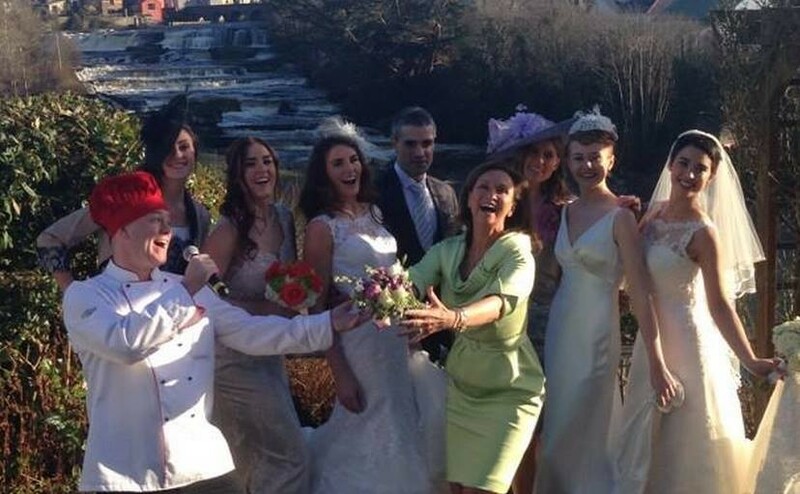 People had said at previous weddings they had felt a lull after the main course but this was not the case at ours as John got the bridesmaids and groomsmen involved and had them interact with the guests. It was just brilliant. He literally set the tone for the rest of the night. Money well spent and I would highly recomend The singing chef. He even learned a song for us to do on the night. Top quality service. Couldn't recommend this guy highly enough his unique style of entertainment will surely add to any wedding john sang and entertained our guests at our wedding in the castletroy park hotel in limerick and he went down exceptionally well with both ourselves and our guests anyone looking for something different and extremely entertaining for their guest's on their big day or in fact any function john is "the man" to entertain them i still laugh now 6 months later when i think back on the day of our wedding leaving out the obvious main highlight of the day john and his unique talent and entertainment ranks very high on both our lists. 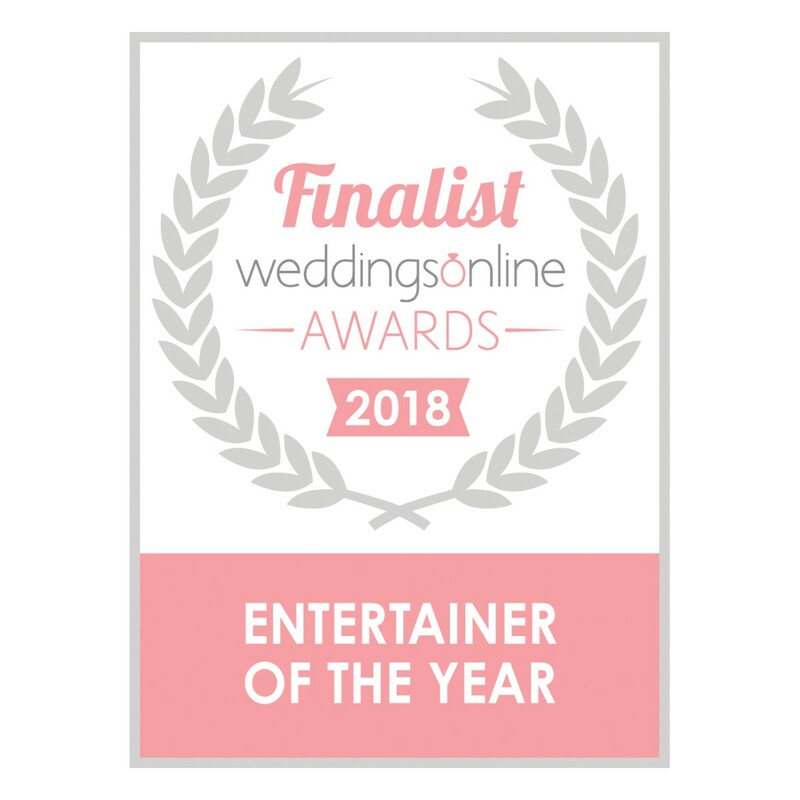 Thanks again john sorry this review was late i only came across the link now and congratulations on your brides of limerick best unique entertainer award so well deserved and earned. The Singing Chef was recommended to me by a friend. I searched his website to see his past performances and found him very entertaining. I spoke to him on the phone and was very happy with his professionalism and friendliness. I didn't tell my husband that I booked the Singing Chef, I was leaving it as a surprise for him and our guests. He was really entertaining and a lot of our guests talked about him for the rest of the night. What I really liked about the Singing Chef is that he asked me for some information about my bridal party (what songs they liked etc). It was a personal touch by the Singing Chef that I thought was lovely. My husband and our bridal party were all wondering how he knew some of the songs they liked. Of course I didn't let on to know anything until after the performance! 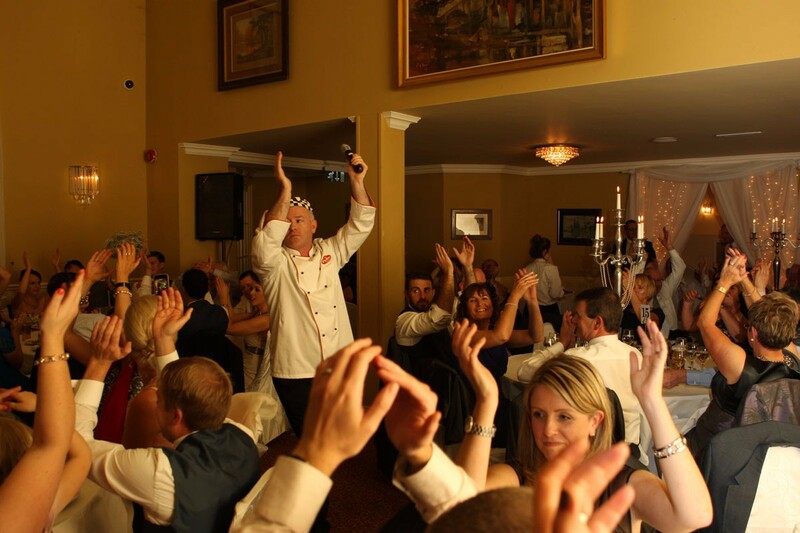 If you would like something different, exciting and fun at your wedding reception then I would definitely recommend the Singing Chef. 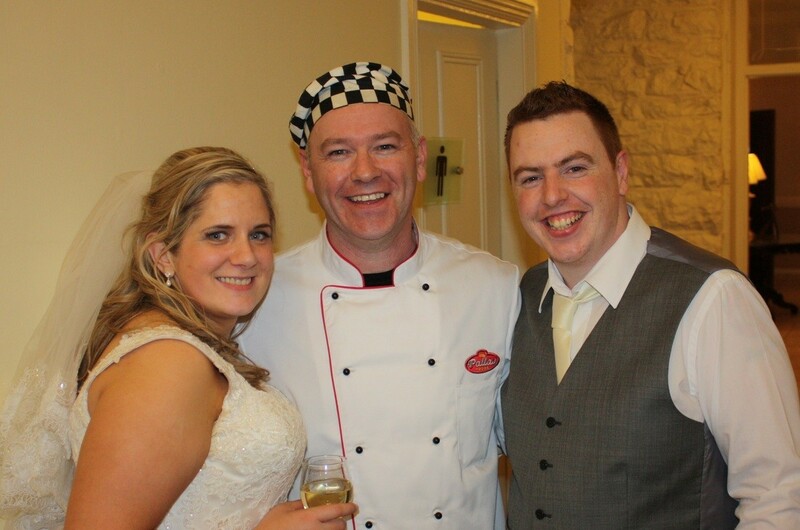 I would recommend John any day of the week, he made our wedding complete, we didn't tell anyone about our singing chef and he had all our guests singing and having a ball during the meal. We couldn't have asked for anymore from John on the day.